Contemporary, yet approachable finishes accompanied by sounds from local and national DJ’s greet guests upon arrival to Apex. 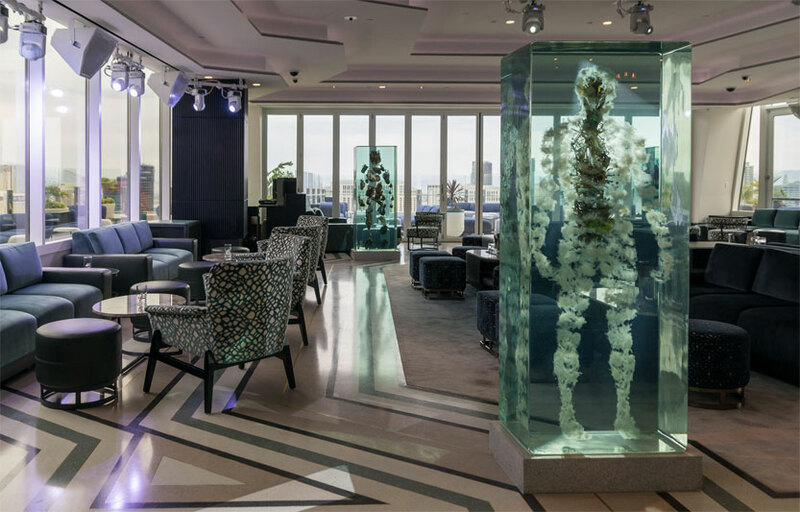 Guests are surrounded by four one-of-a-kind art sculptures, which serve as a focal point to the room, creating a sophisticated, upscale vibe. 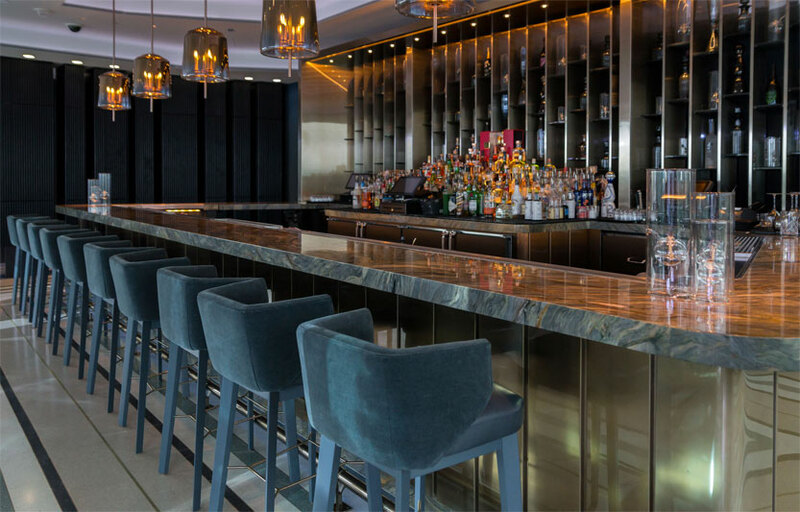 To complement the stunning view and venue, bartenders and mixologists craft to-die-for cocktails and age-old favorites served over a graphite and sapphire bar. 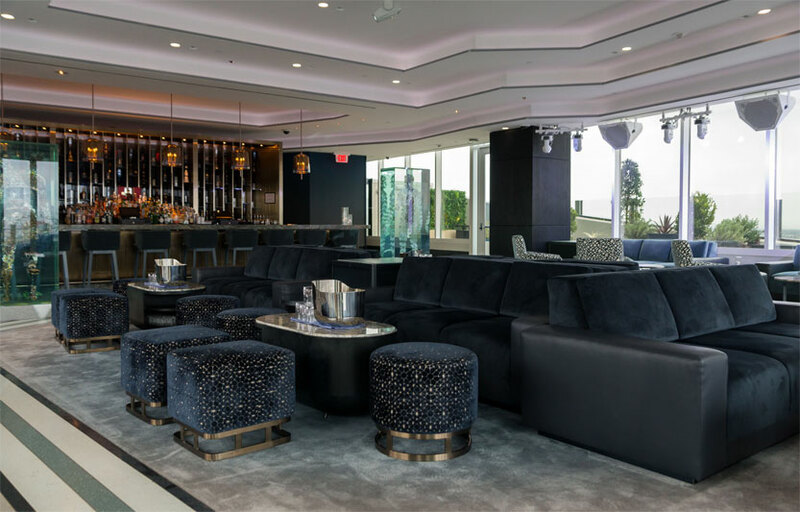 Guests can also indulge in VIP bottle service, all while peering down on the bustling city below. 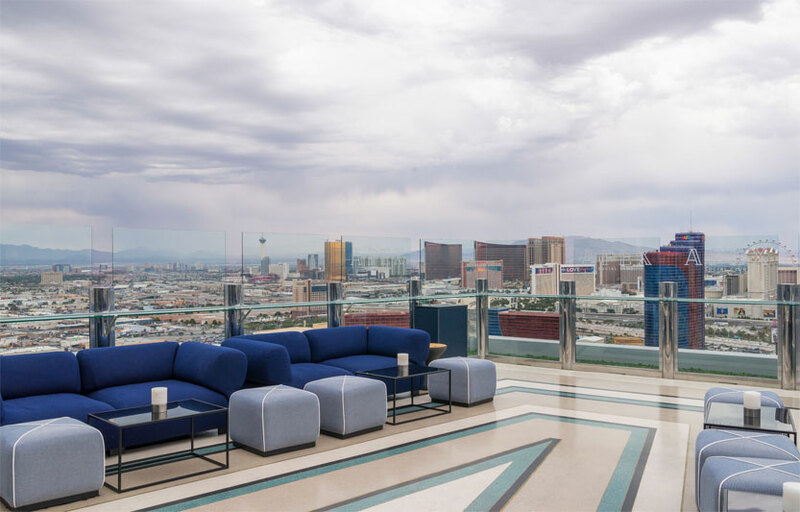 You know what they say, a good view never goes out of style, but trust us, you’ve never seen Vegas like this. 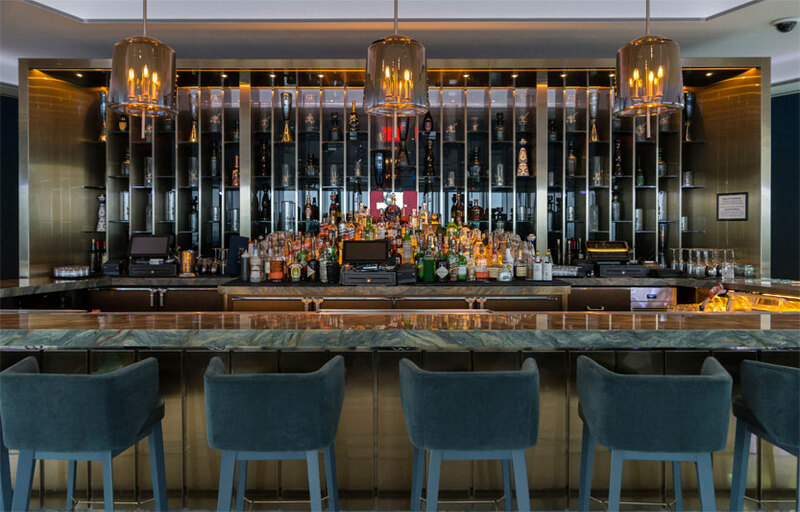 Apex Social Club is formerly the Ghostbar at Palms. 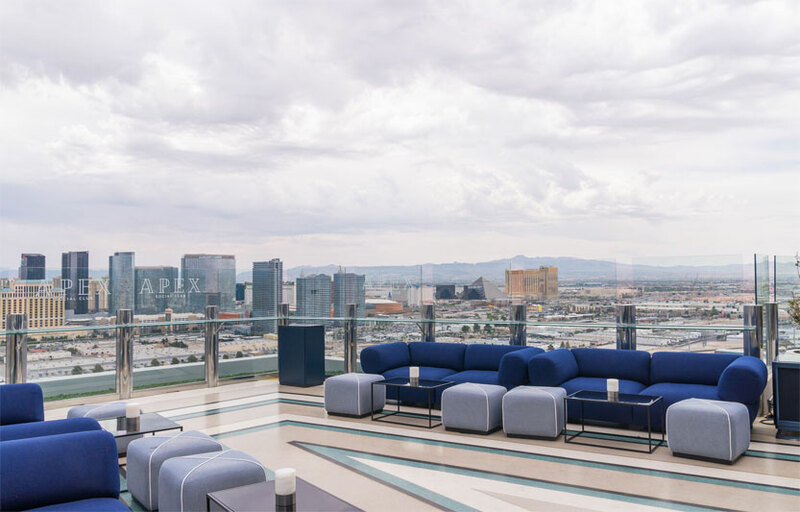 This venue sits 55 floors high with a great view of Las Vegas. Their grand opening weekend will be on Memorial Day Weekend 2018. Where is Apex Social Club located? 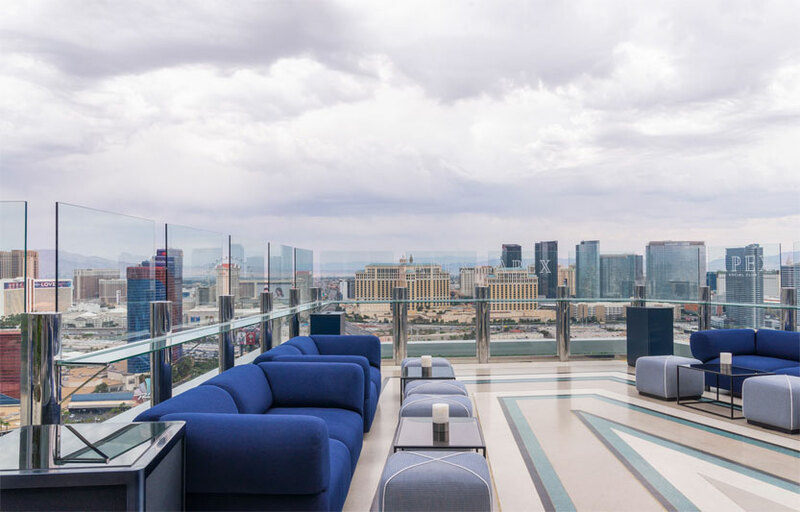 Apex Social Club is located at the 55th floor of the Palms Casino and Resort. How much is cover charge at Apex Social Club? Apex Social Club charges a cover at the doorman’s discretion. How long will I have to wait at Apex Social Club? When is Apex Social Club open? Apex Social Club is open on Thursdays through Sundays. What are the best nights to go to Apex Social Club? All nights are good. This is the newest spot in town right now. What is the dress code at Apex Social Club? How much do drinks cost at Apex Social Club? What kind of music do they play at Apex Social Club? Apex Social Club features mostly top 40 and hip hop. Where can I find an list of upcoming events / DJs at Apex Social Club? You can download the Discotech app to see upcoming events, and book tables for Apex Social Club.